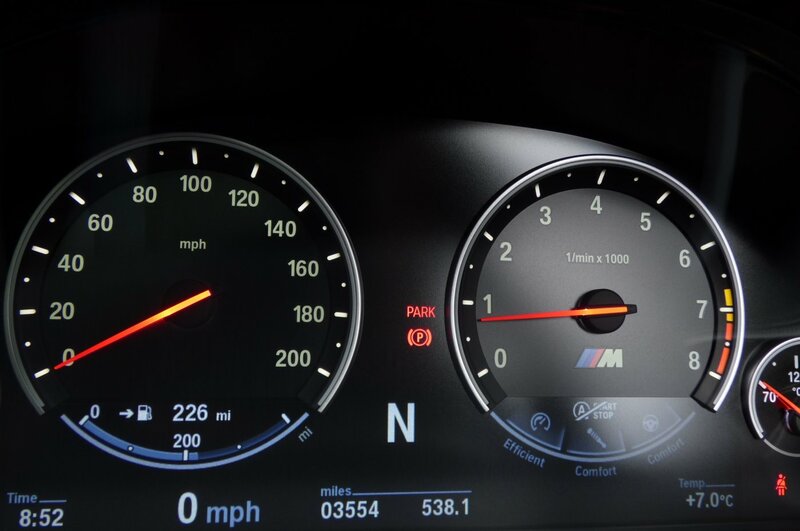 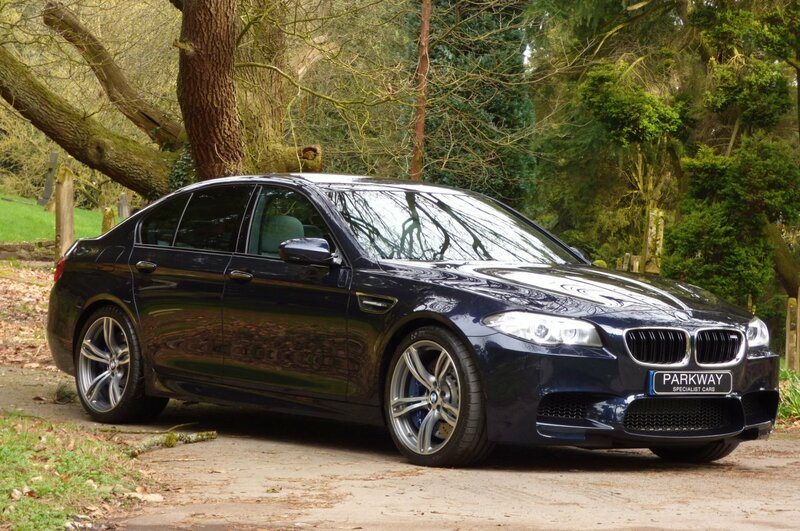 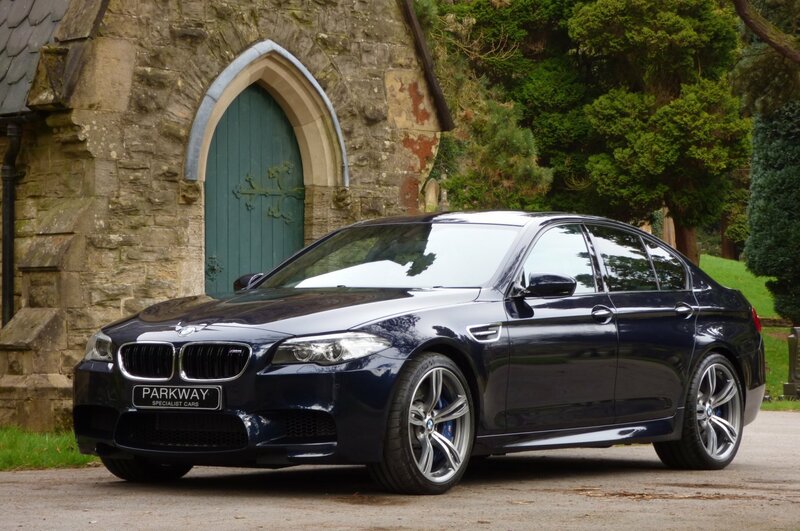 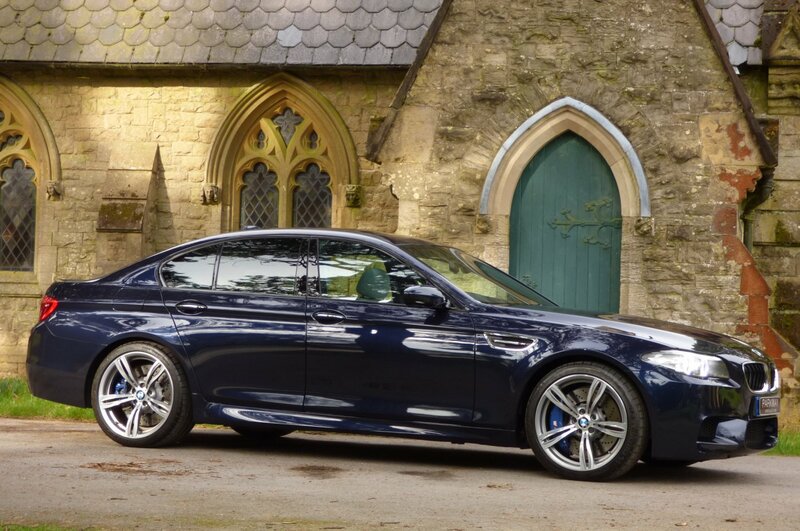 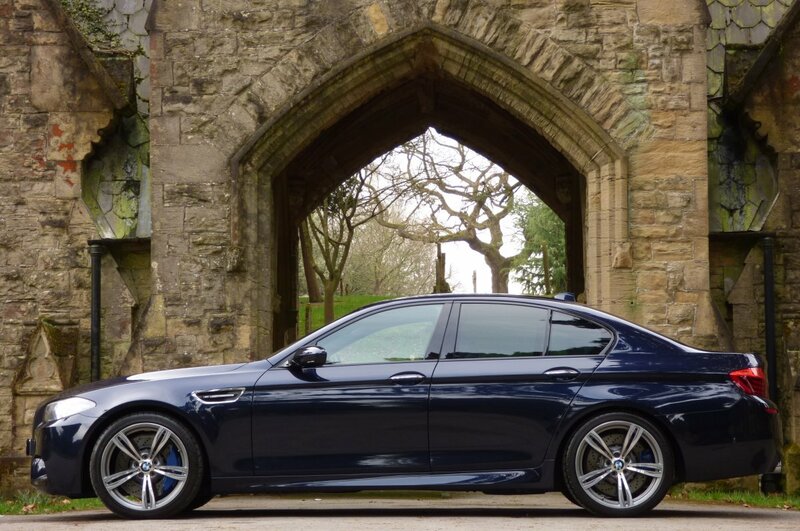 The Fifth Generation BMW M5 Or The F10 Was First Showcased To The Eager Global Audience At The Frankfurt Motor Show In The September Of 2011, With Order Books Fully Opened At The Back End Of The Same Year And Was To Set An All New Bench Mark For The High Powered Luxury Four Door Saloon Sector. 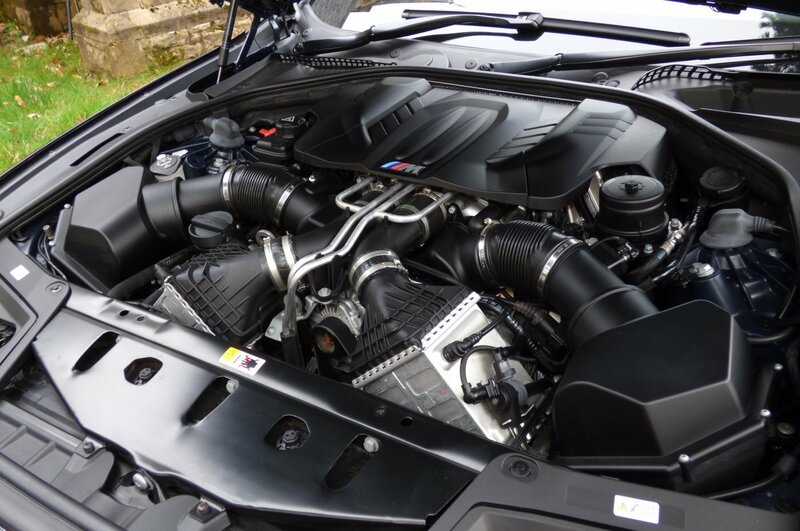 This Dramatic New Addition To Come From The Dingolfing Assembly Line In German Was To Be A Giant Step Forward From The Much Loved E60 V10 Model It Replaced, With The Factory To Focus More On Better Total Running Costs, But Still Not Taking Away Any Of That Raw Driver Performance, That Had Won The Hearts Of The Purist Of Petrol Heads Since The First Generation Was Introduced Back In 1985. 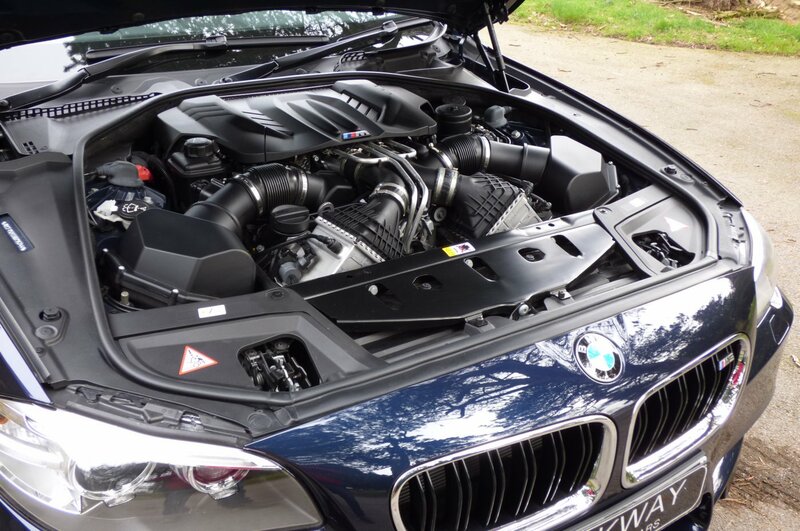 The Car Definitely Hit The Spot On Driver Exhilaration With The All New Four Point Four V8 Bi Turbo Engine, That Generated A More Than Healthy 552 Brake Horse Power With 502lb Worth Of Torque, Which Was More Than Capable Of Accelerating Both Driver And Four Passengers From 0-62 MPH In Just 4.3 Seconds, Would Further Climb To An Electrically Limited Top Speed Of 155 MPH And Was All Perfectly Controlled By The New Seven Speed Double Clutch Automatic Transmission, That Was Designed To Take On This Immense Force. 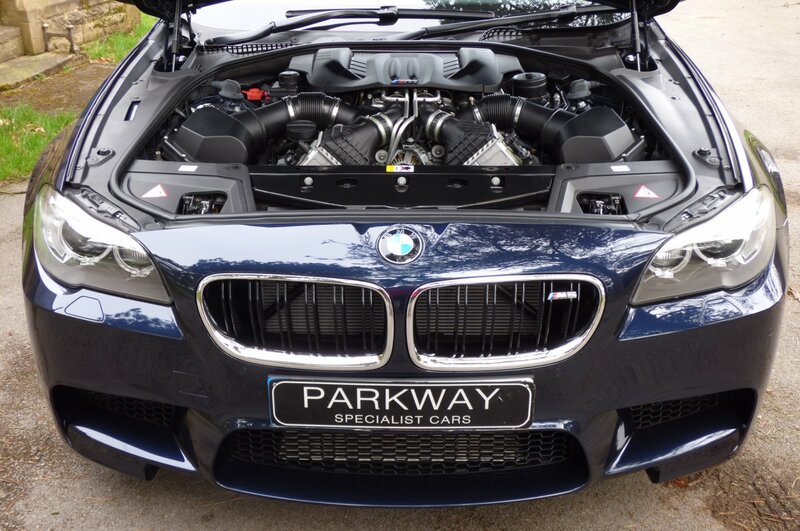 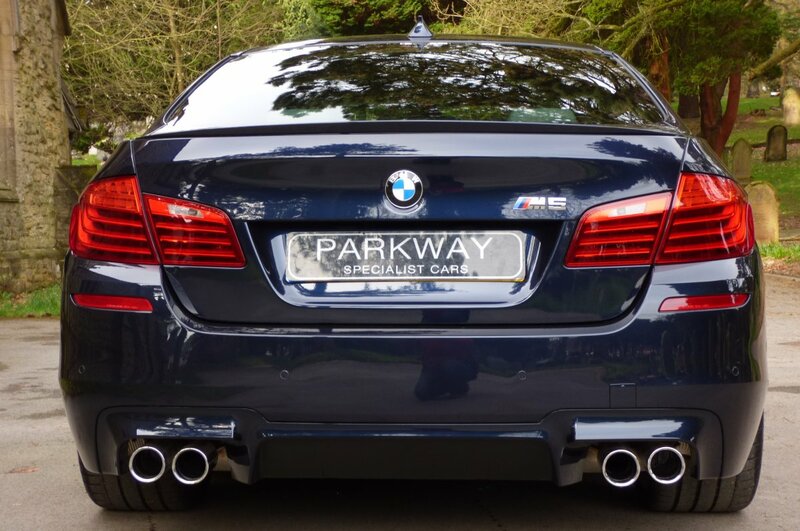 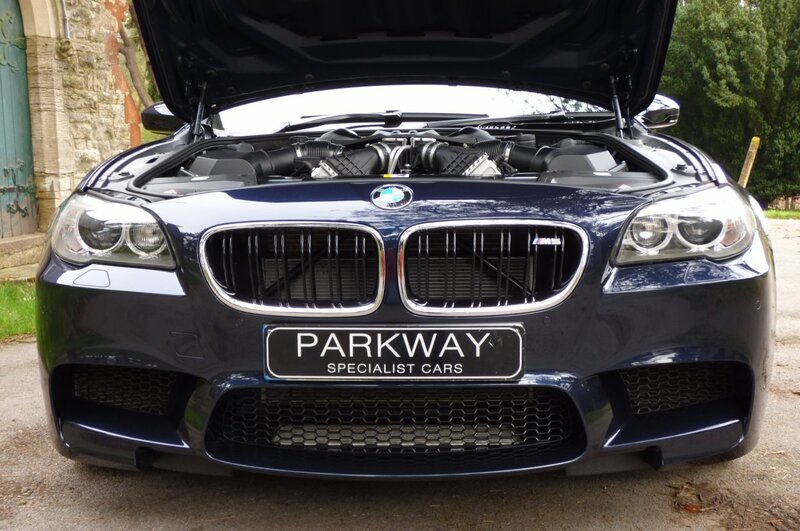 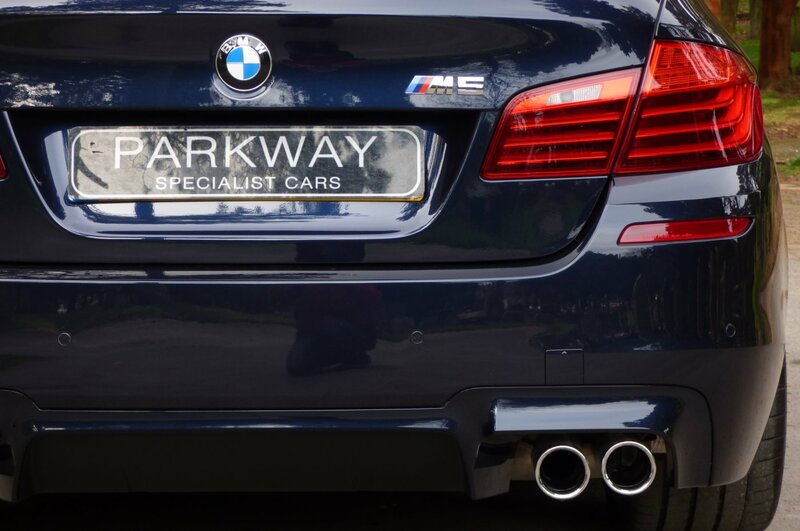 Even Though This New Car Was Heavier Than Its Predecessor, The Vehicle Was More Powerful With An Extra 52 Brake Horse Power On Tap Over The E60, Which In Turn Made This Exceptional BMW An Effortlessly, Breathtakingly And Remarkably Rapid M Car, Which Gave The AMG With The E Class Equivalent, A Damn Good Show Down. 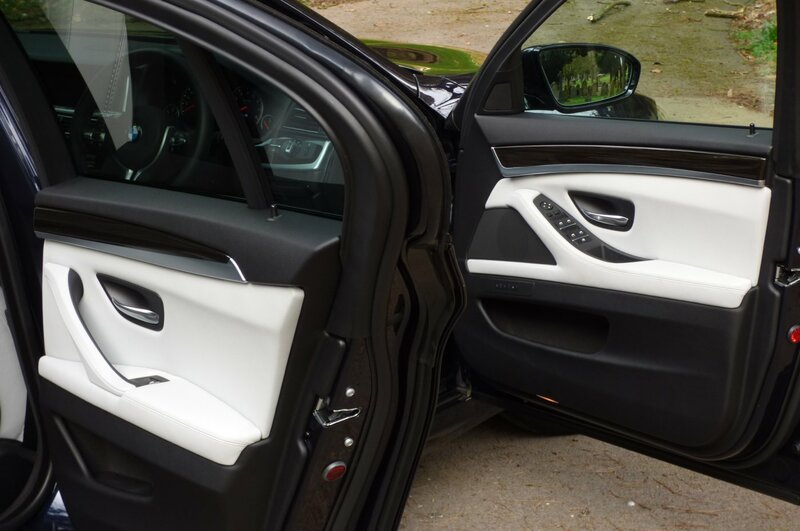 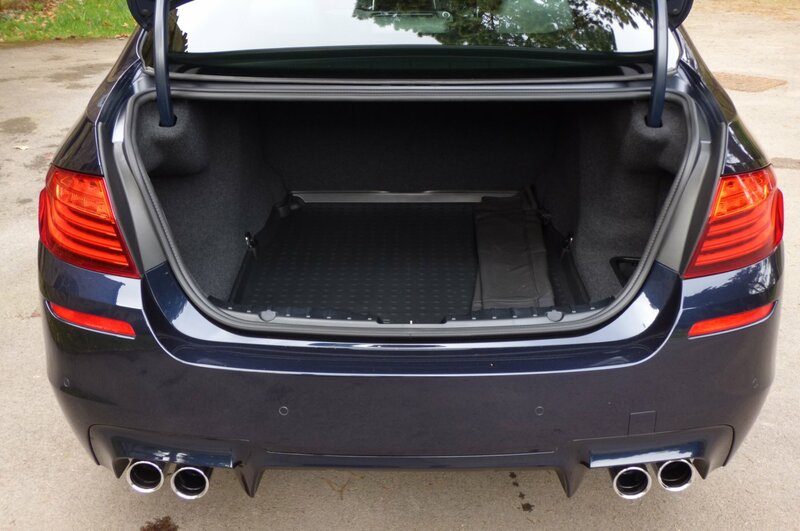 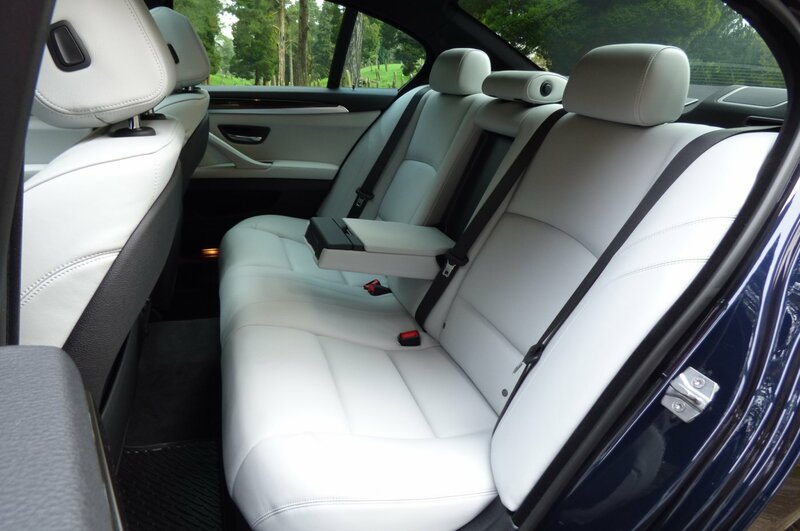 Not Only Would The F10 Offer Buyers Super Car Performance, But The Factory Would Still Give An Incredibly Comfortable Cabin Space, Jam Packed With All The Latest BMW Technology, Meaning That Every Trip Was Highly Enjoyable, Yet Perfectly Controlled No Matter The Distance. 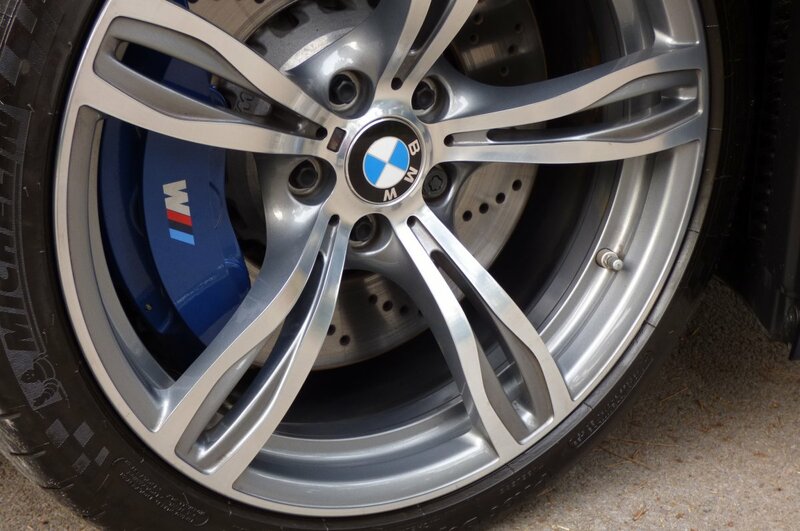 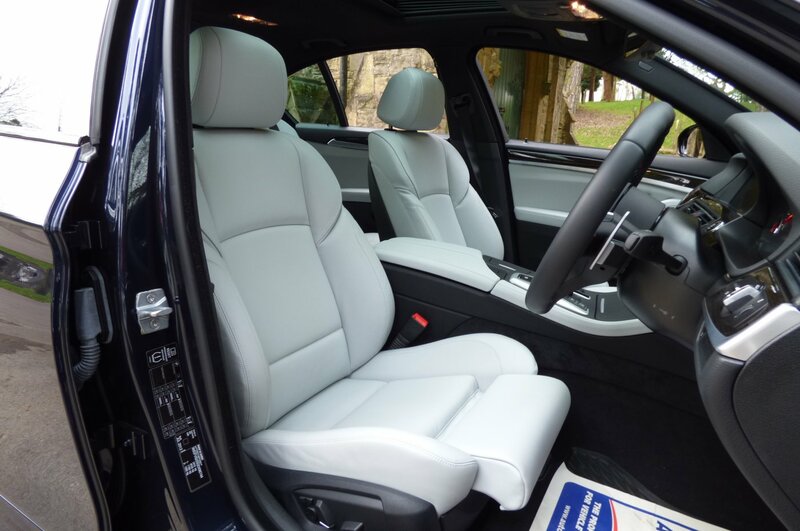 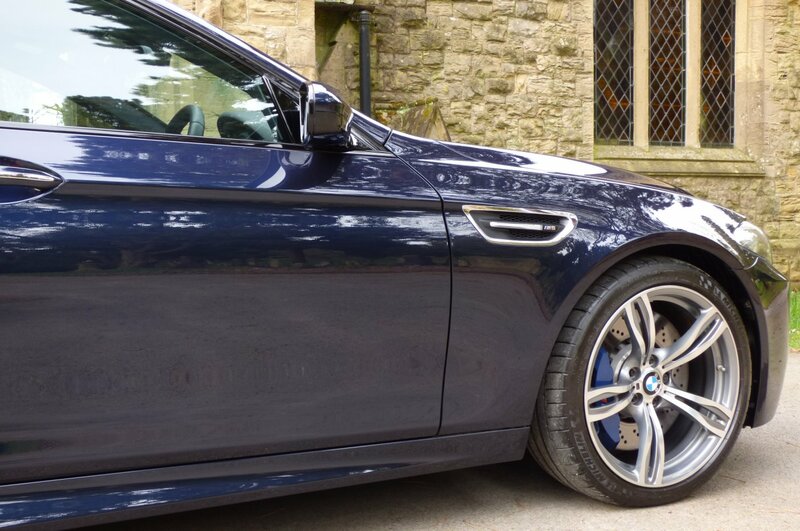 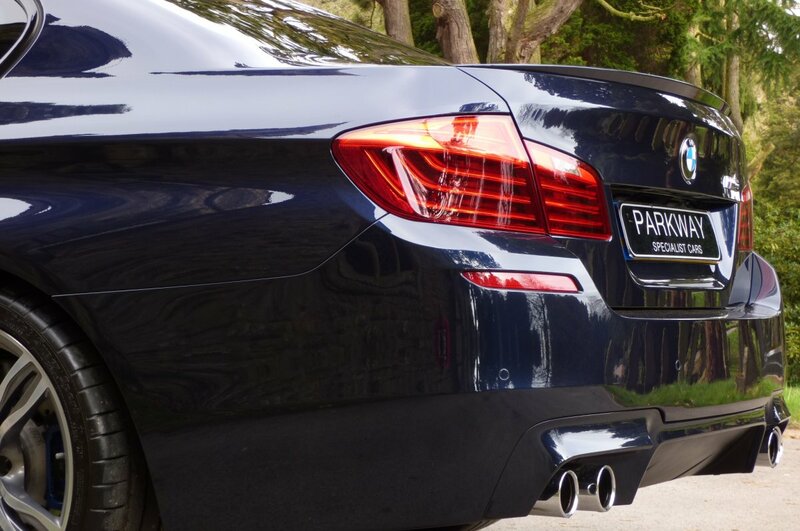 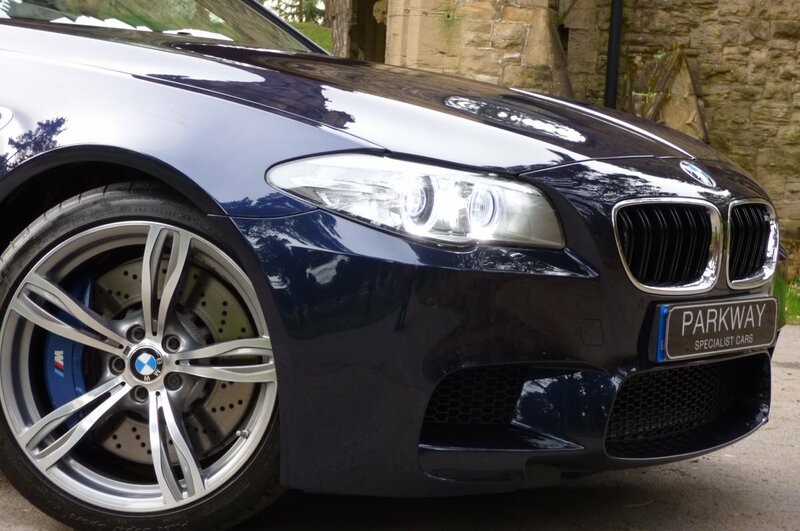 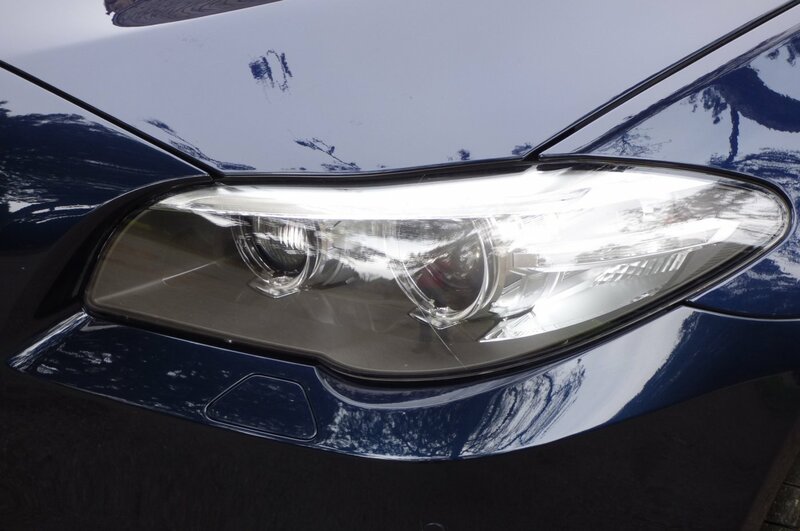 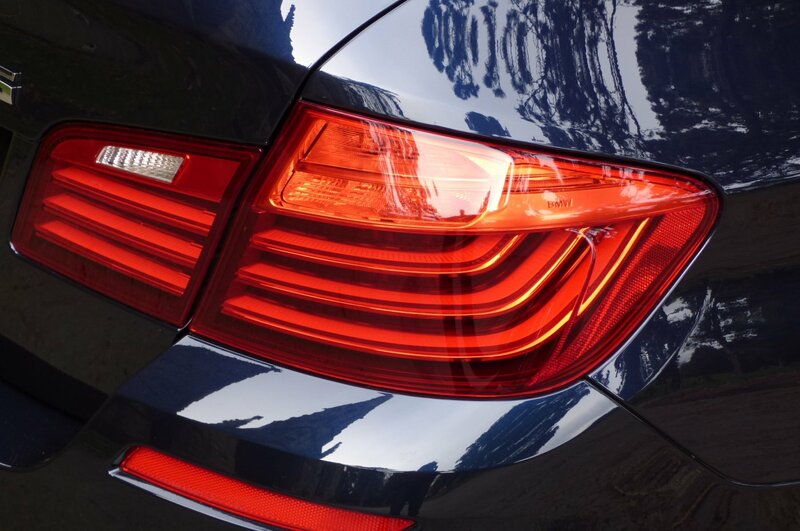 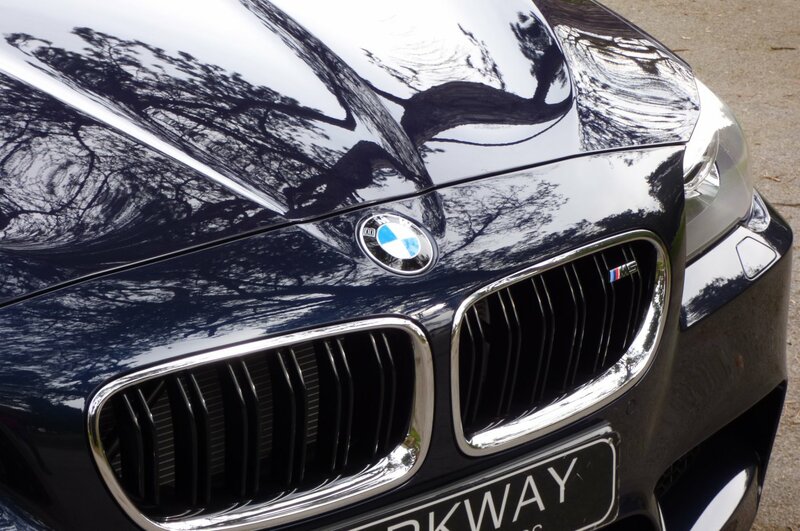 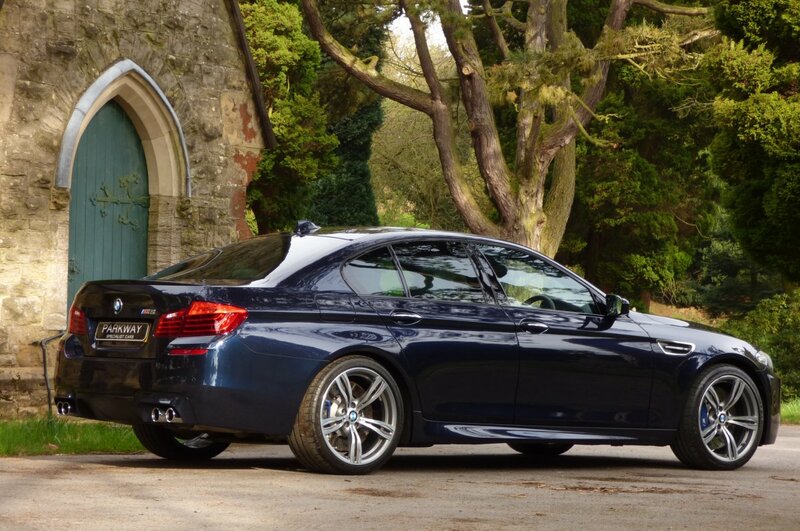 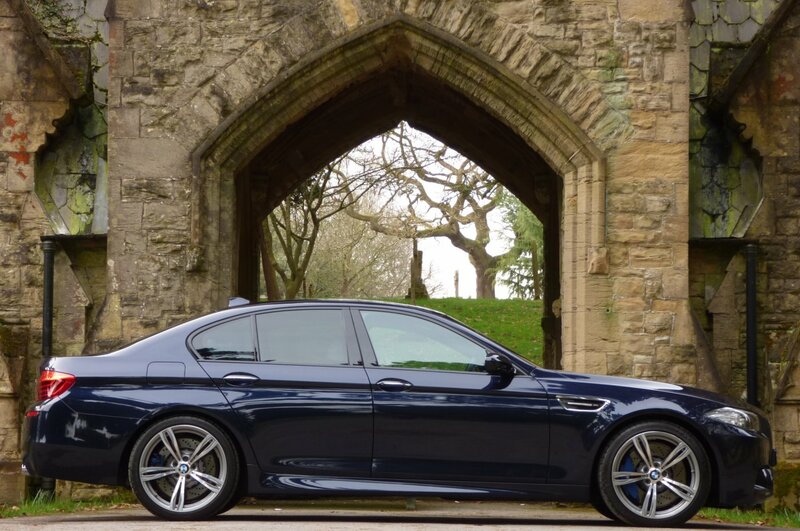 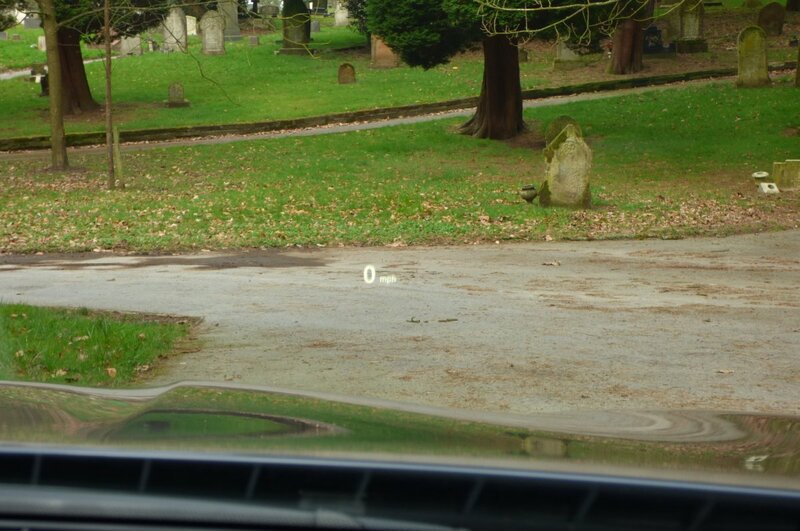 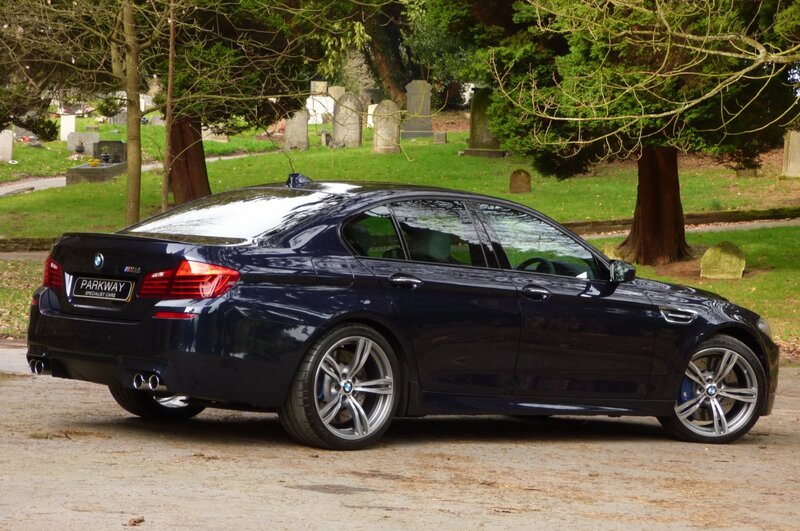 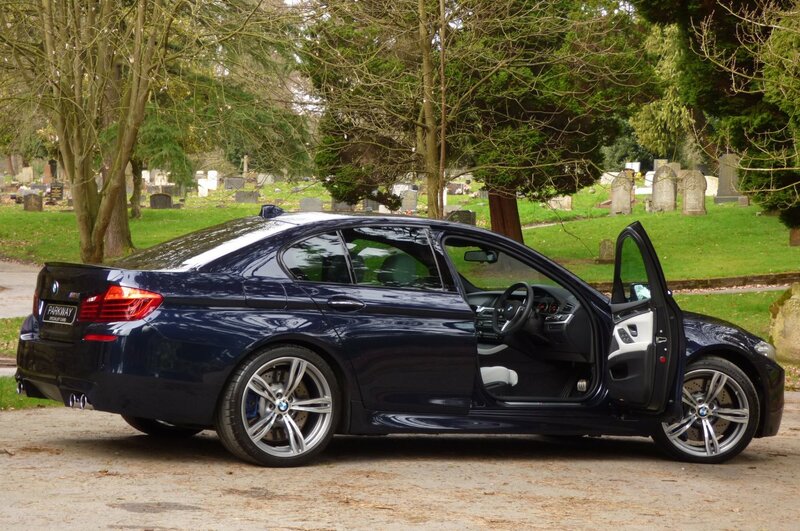 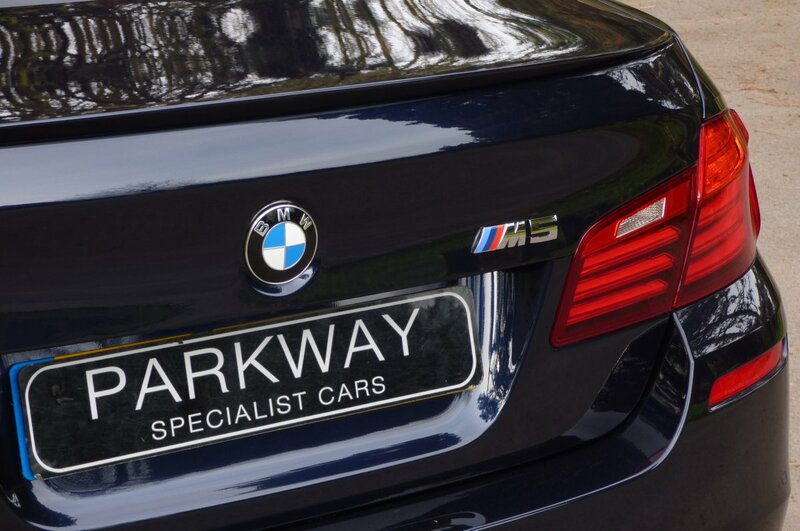 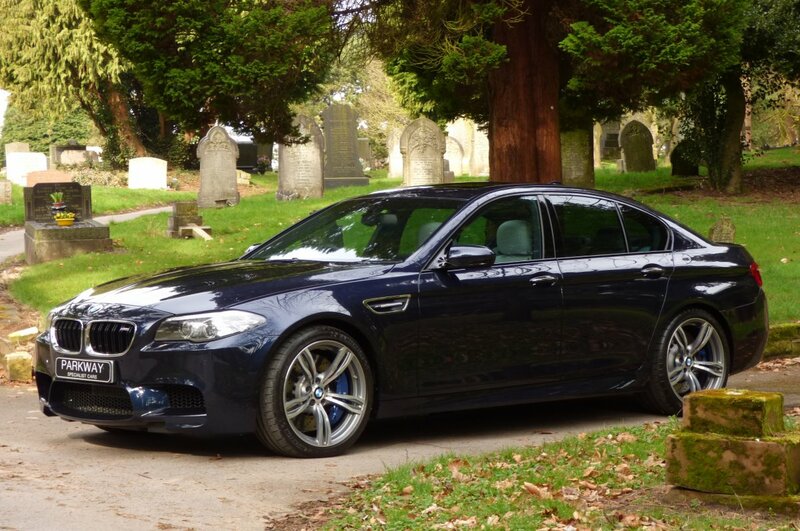 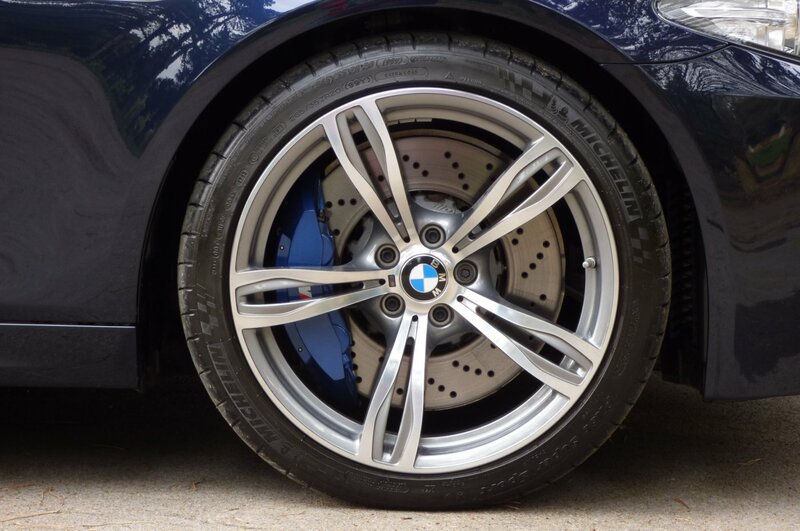 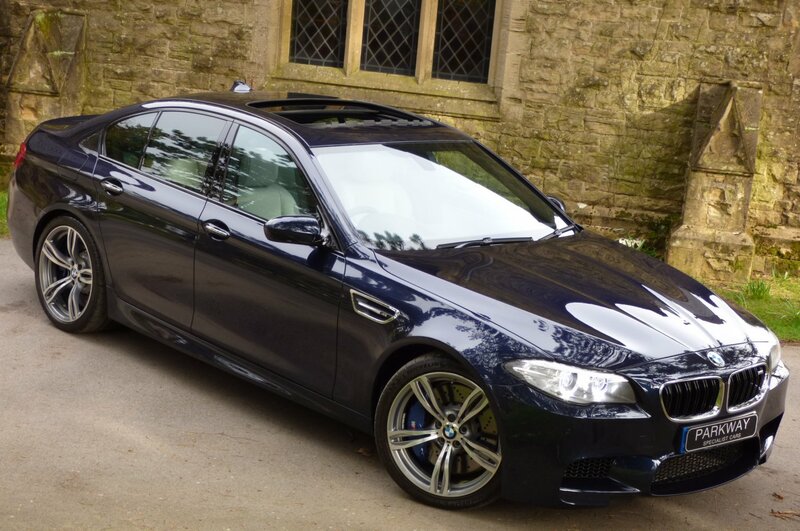 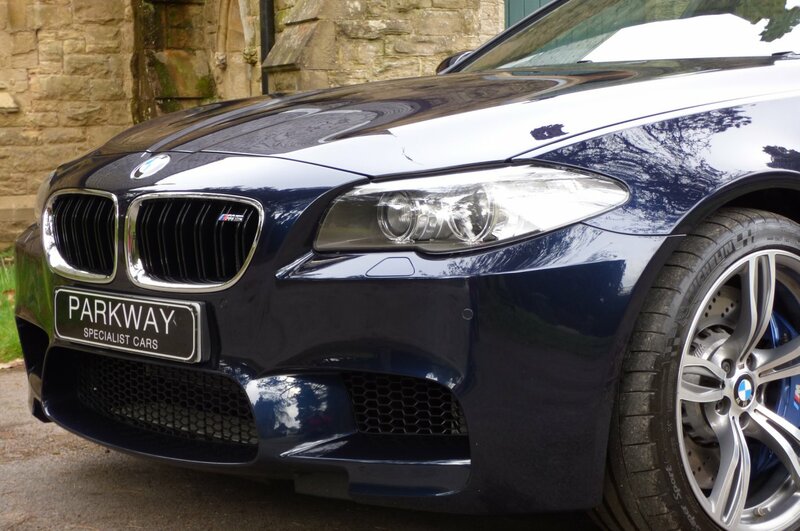 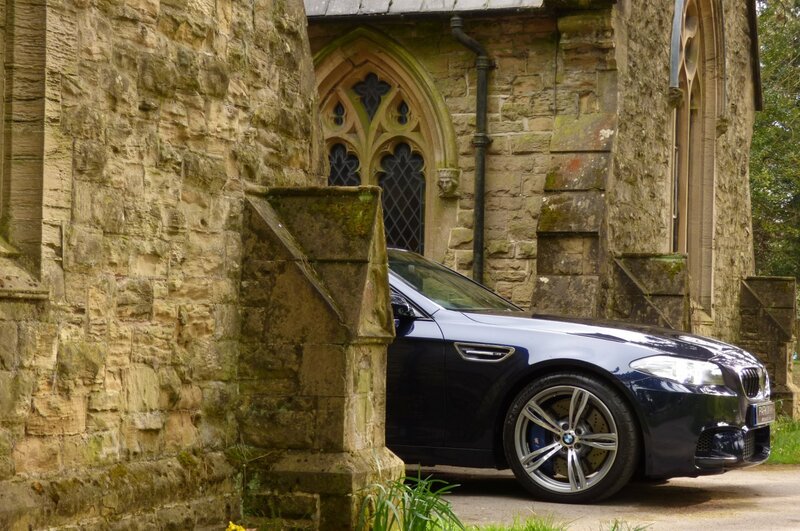 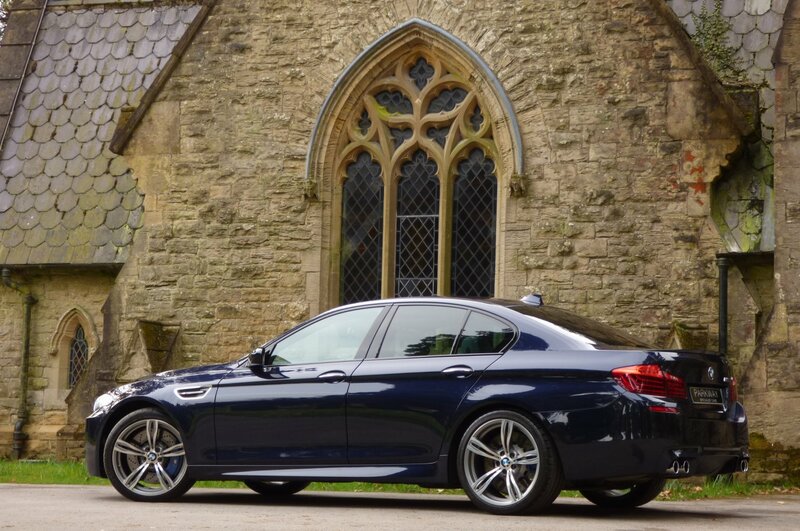 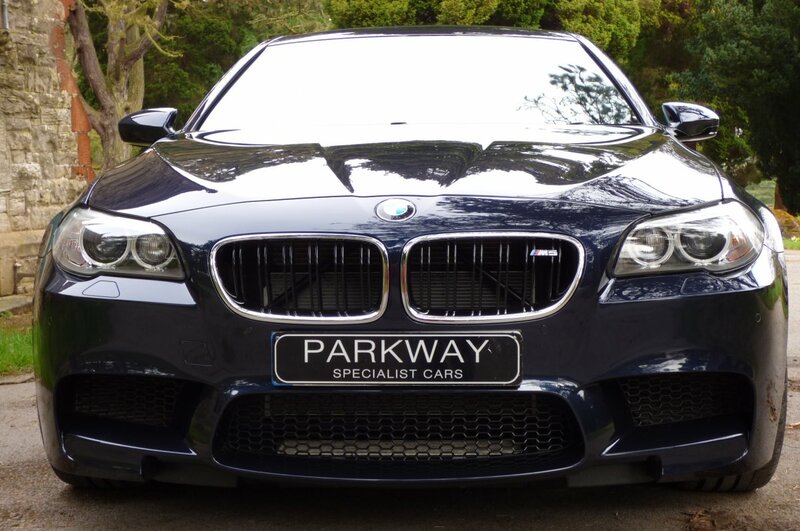 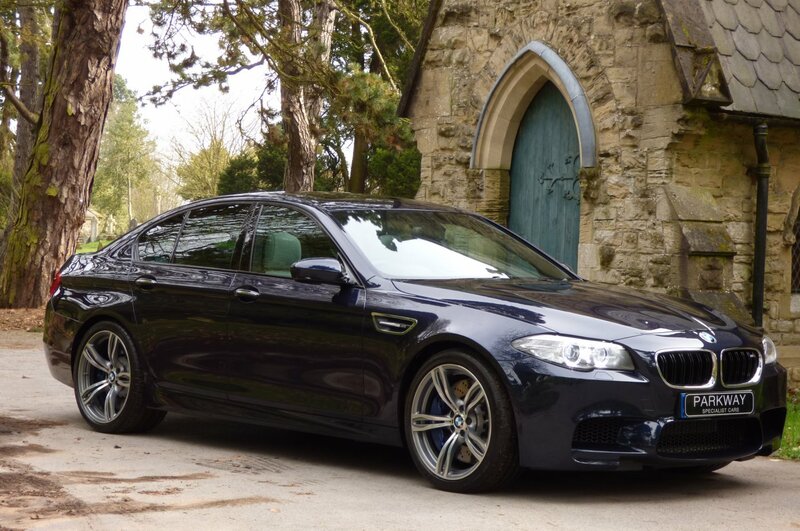 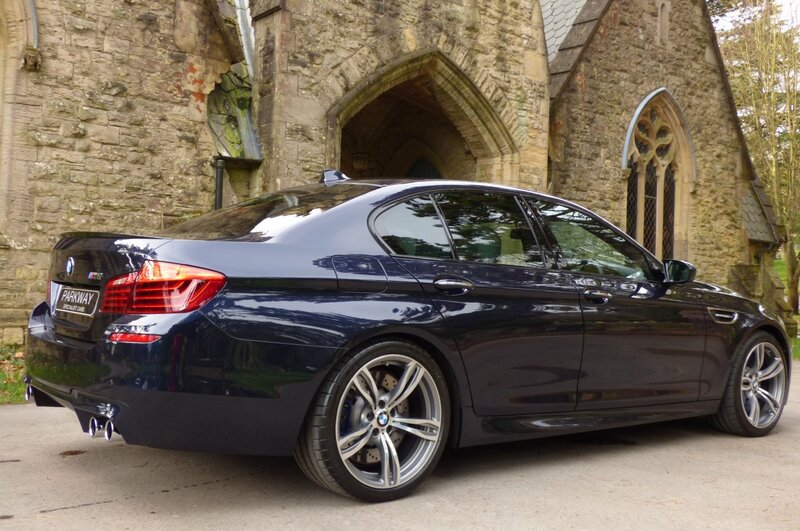 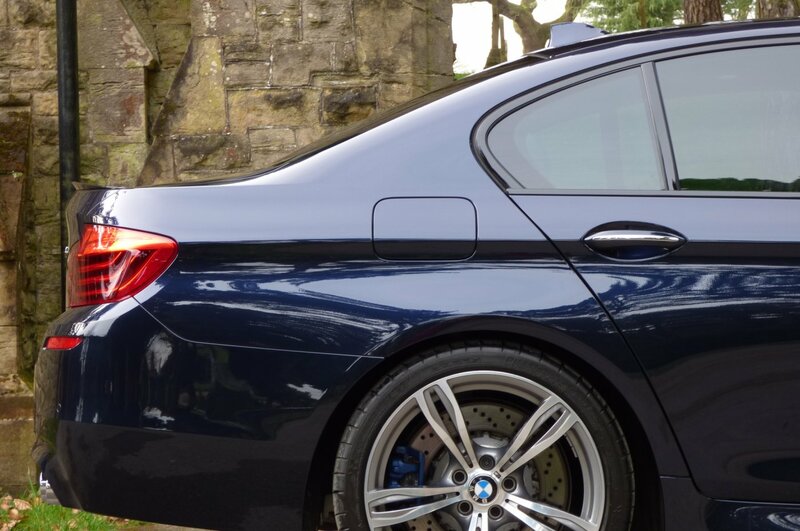 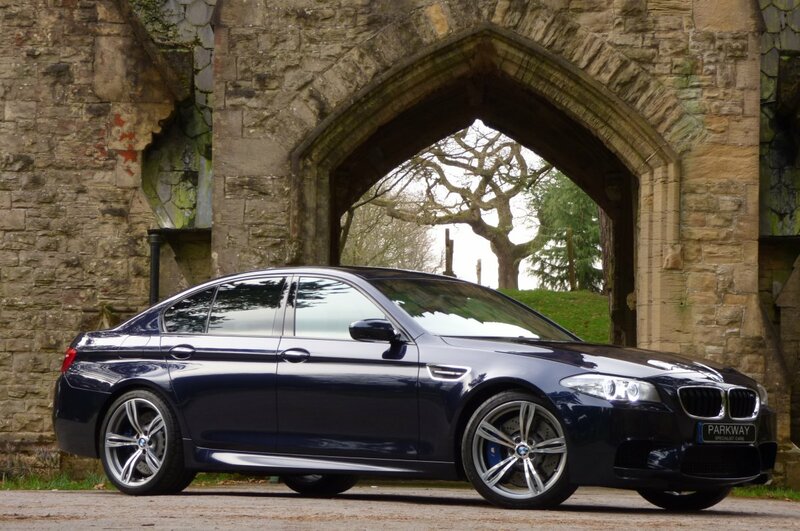 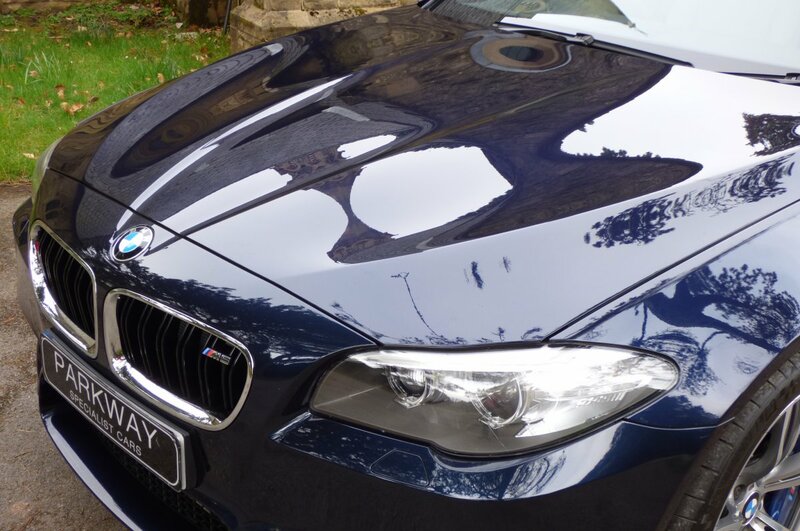 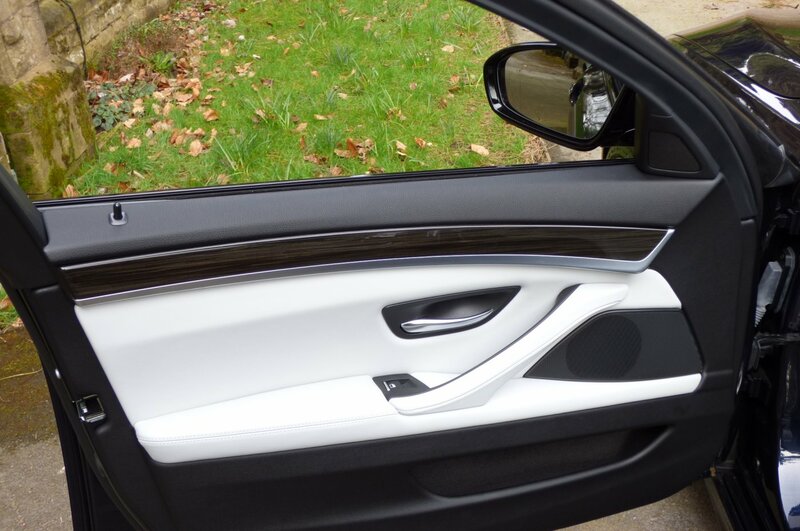 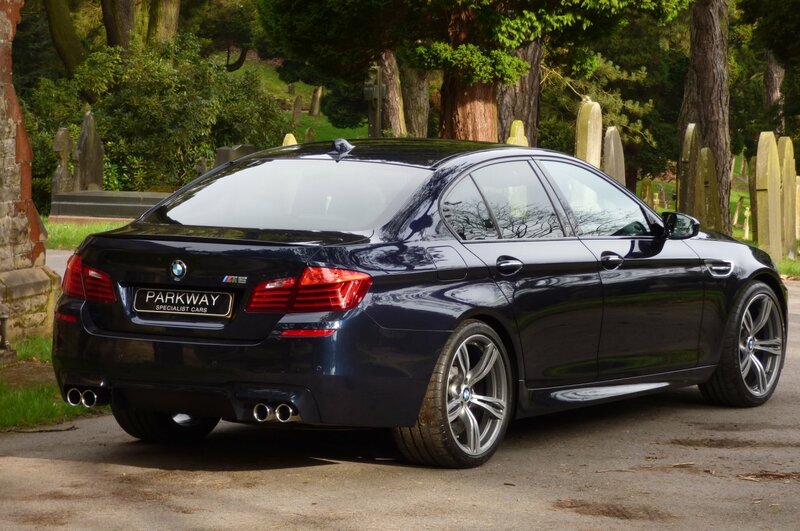 This Perfectly Presented Example Was First Supplied By Astle BMW In The August Of 2013 And Since This Date Of First Registration, Our Vehicle Has Had Just The One Private Mature Keeper From New. 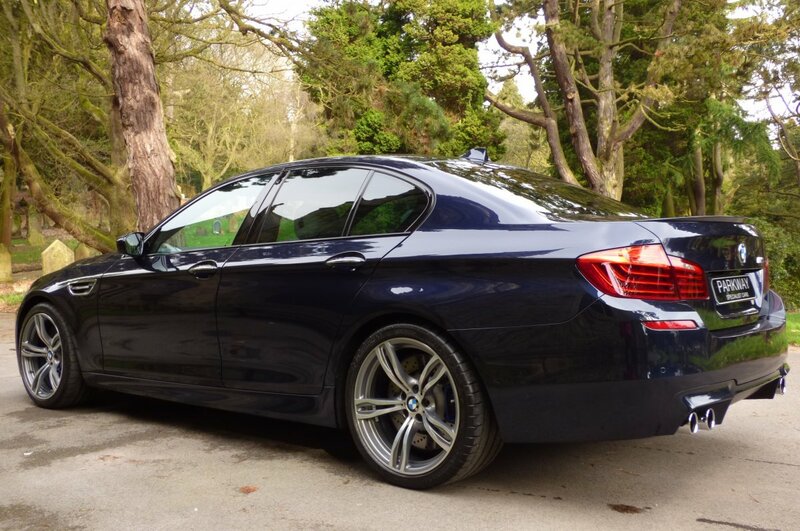 Over The Last Four And A Half Years Chassis Number DX96744 Was Had Just A Mere 3554 Miles Applied, Which If We Break This Down Further Is Approximately Just 789 Miles Per Annum, However Regardless Of This Staggeringly Low Current Mileage Reading, The Vehicle Has Been Maintained To The Highest Of Standards With Past Historical BMW Service Visits Logged At 770, 2983, 3258 & 3348 Miles, With The Last Completed By Astle BMW In The August Of 2017. 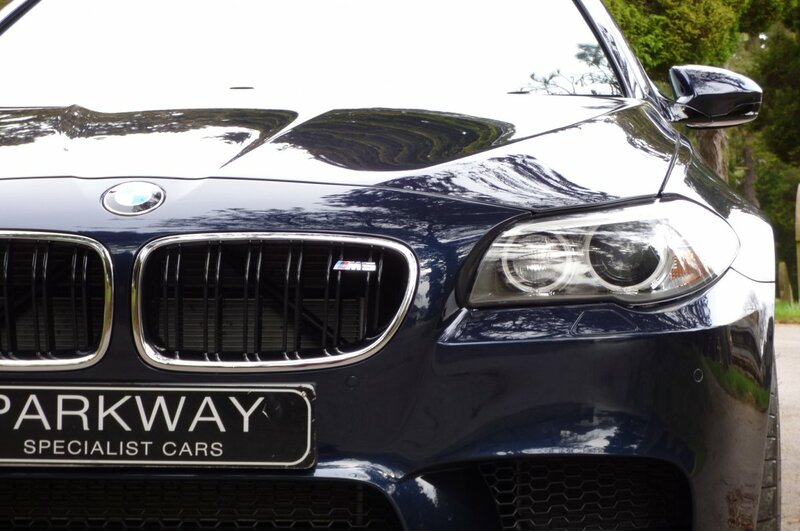 Once Sold We Will Be Delighted To Present The Car To The Next Keeper With An Entire Booklet Pack Set, A Fully Cleared Hpi Certificate, A Fully Functional Key Set And The Original Factory Build Card Listing All Those Important Expensive Options From New, All In Place For That Next Lucky Custodian To Keep And Cherish During Their Own Time Of Ownership. 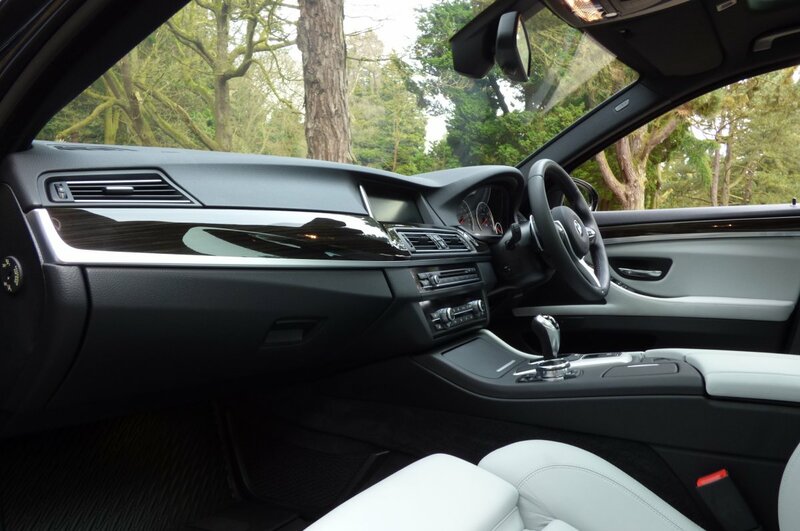 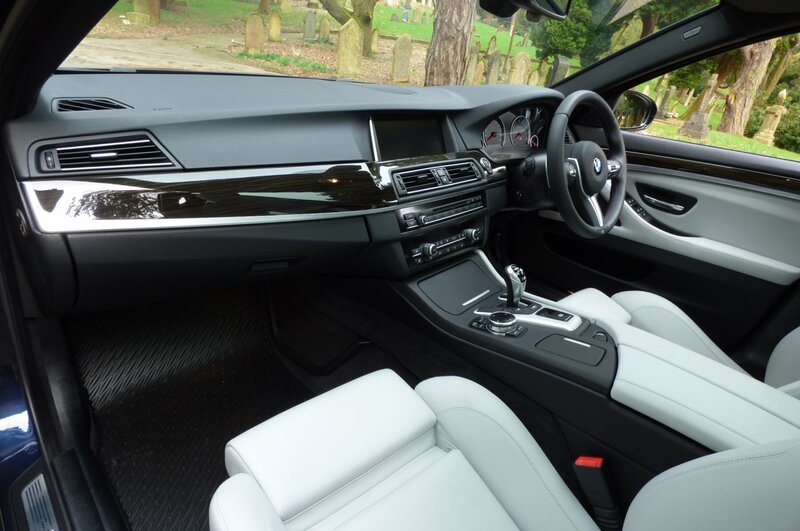 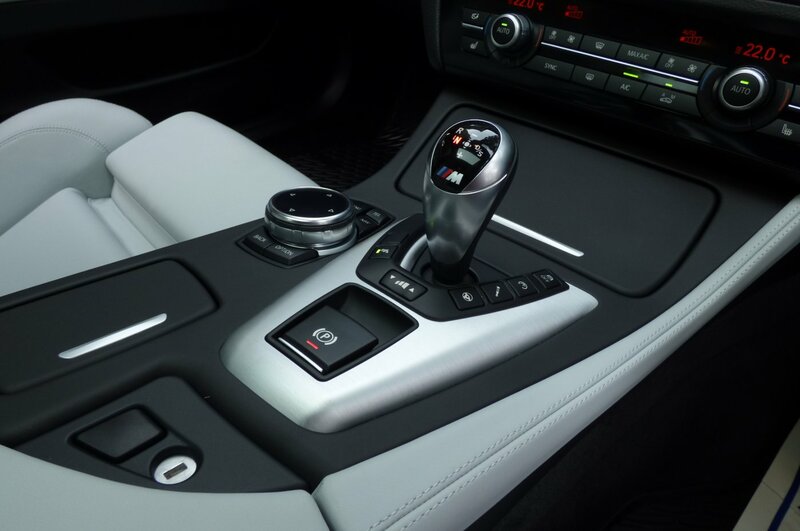 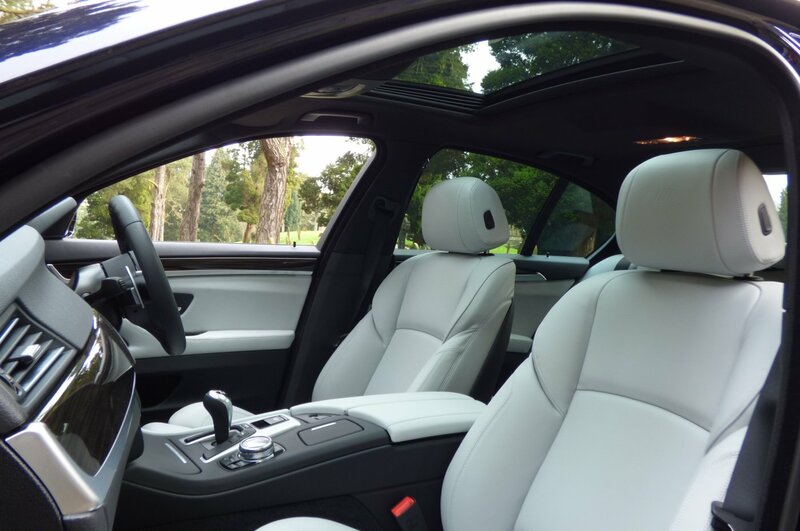 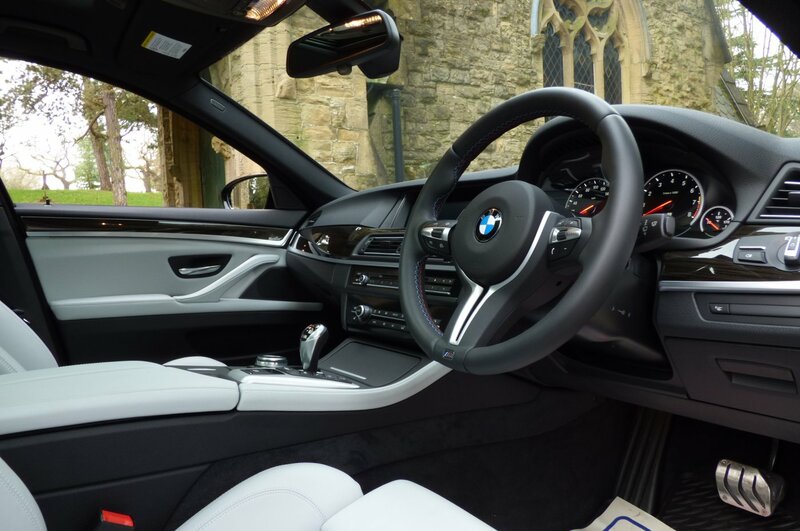 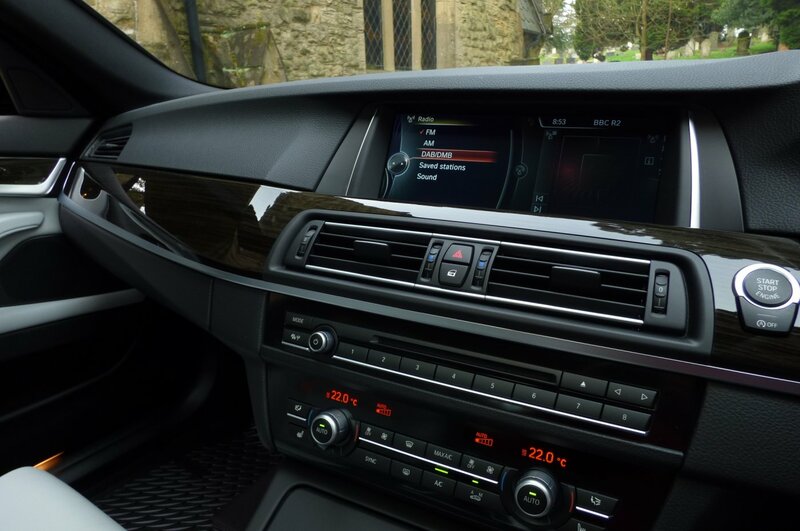 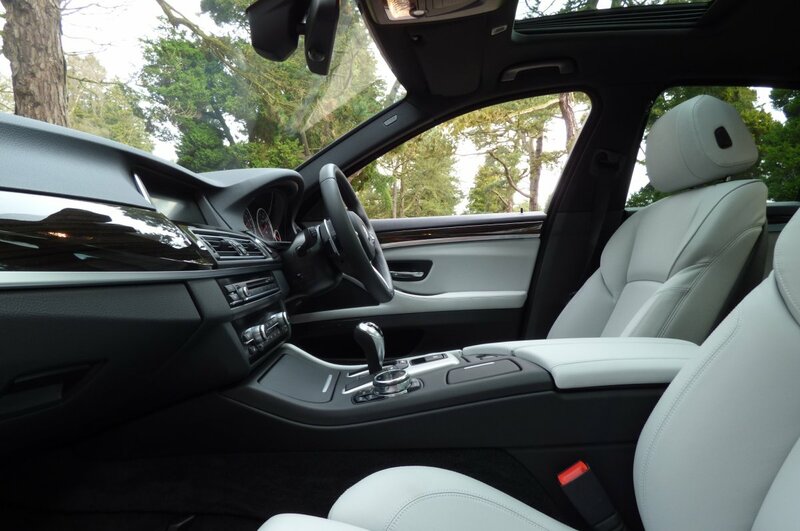 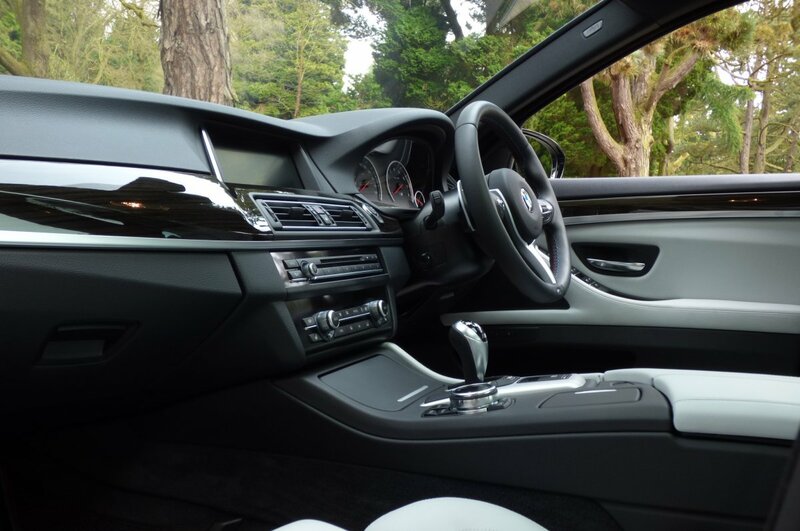 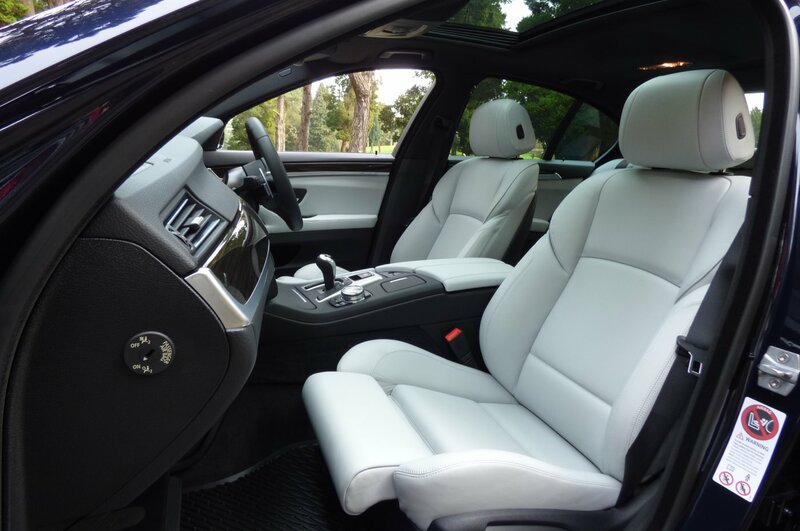 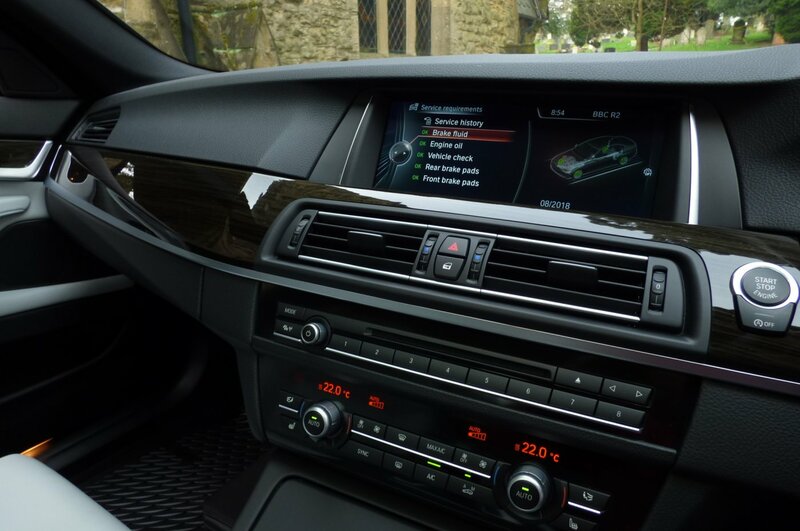 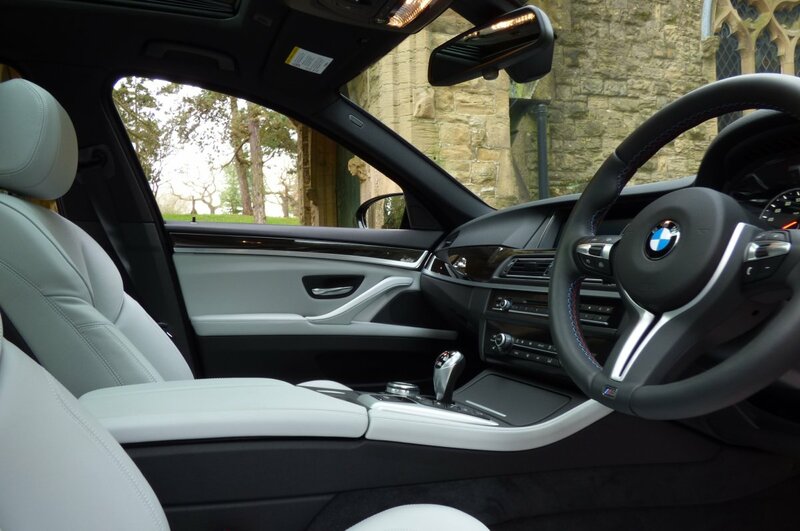 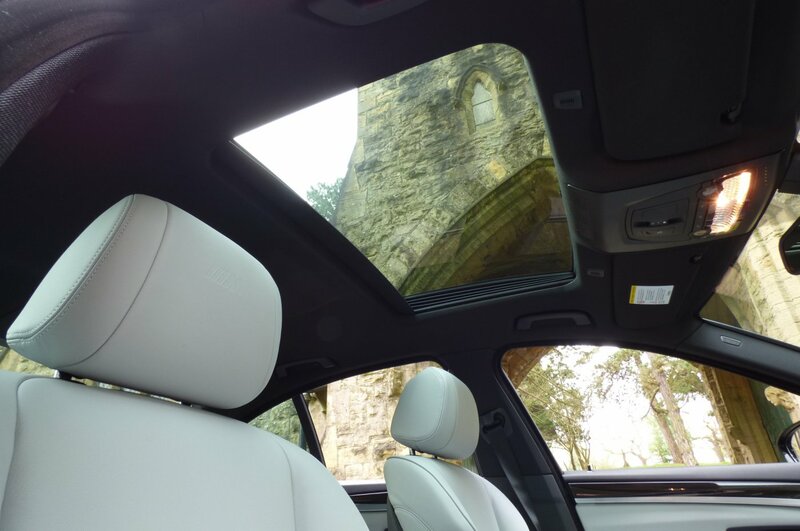 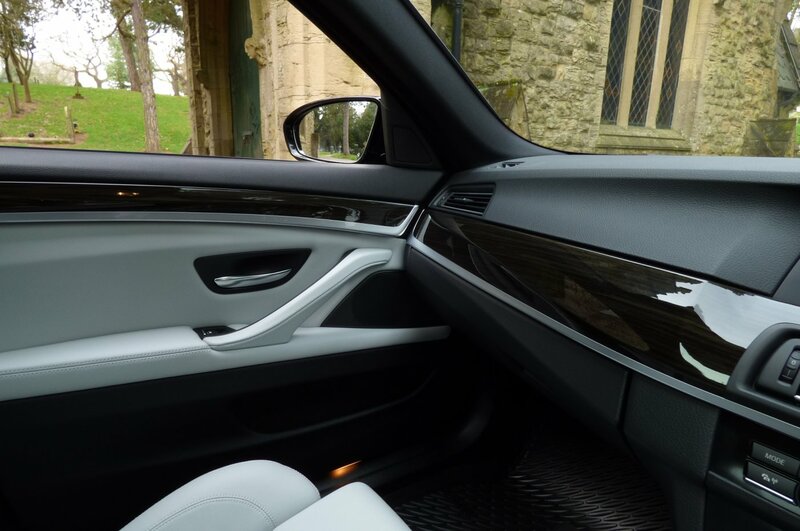 The Interior Is Stereotypically German On The Design And Build Quality, Offering The Level Of Comfort That We Have Come To Expect From The BMW Brand. 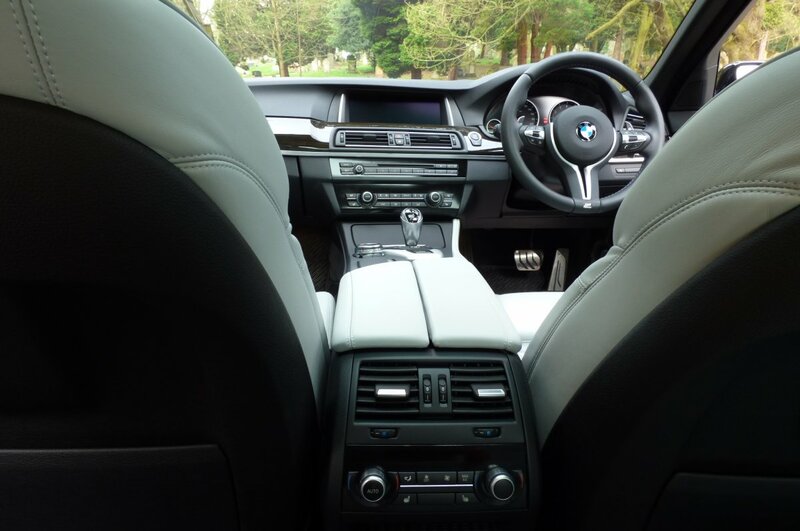 From Factory Build This Vehicle Was Opted With The M Embossed Silverstone 2 Merino Leather Sport Seats Beautifully Complemented With Silver Twin Needle Stitch Work, The Black Leather Dash That Wraps Around This Dramatic Cabin Space, Black Carpets That Have Been Protected With BMW Approved Over Mats, The Black Fabric Roof Lining, The Two Tone Silverstone 2 And Black Nappa Leather Trimmed Door Cards, The Black Leather Bound Three Spoke Multi Functional Steering Wheel Detailed With M Stitched Colours And Decorated With A Mixture Of Fine Wood Grain Polished Veneers Detailed With A Chrome Band, That Finalises This Stunning Interior. 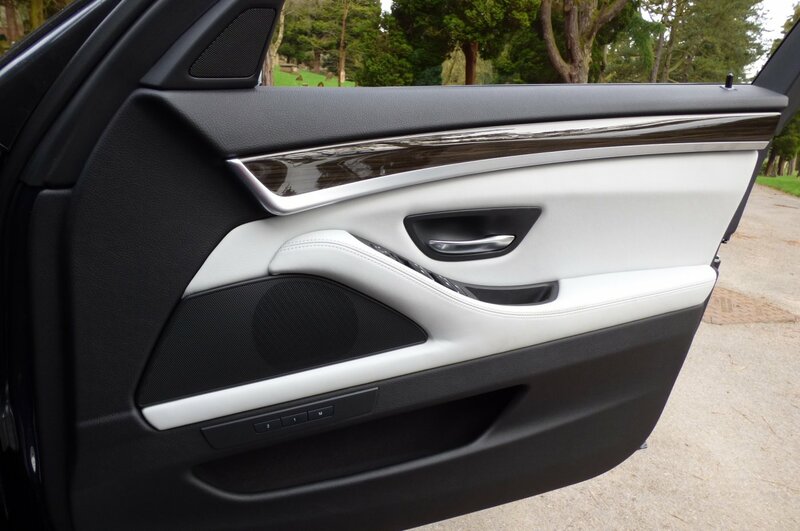 The Vehicle Also Comes With An Excellent Array Of Important High End Factory Options, Which Will Increase The Cars Desirability For The Next Person. 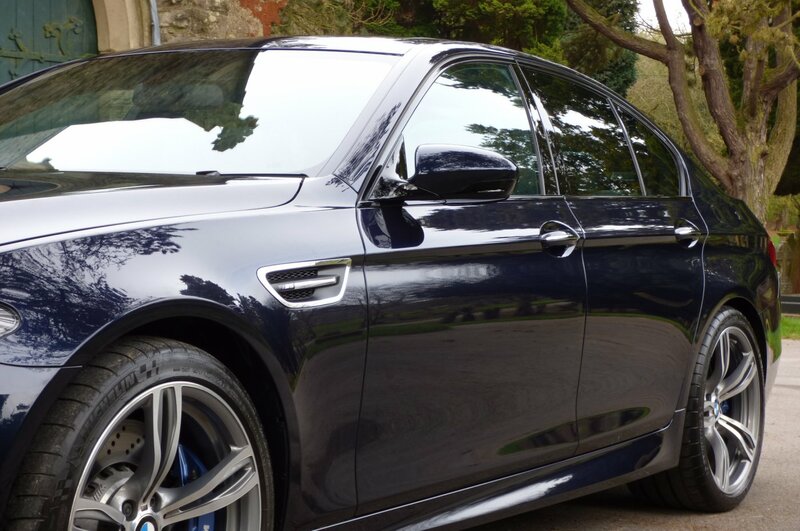 The Body Is Presented In The Rare Imperial Blue Metallic (A89), Which Perfectly Demonstrates The Aggressive BMW Curves And The Sublime M Lines. 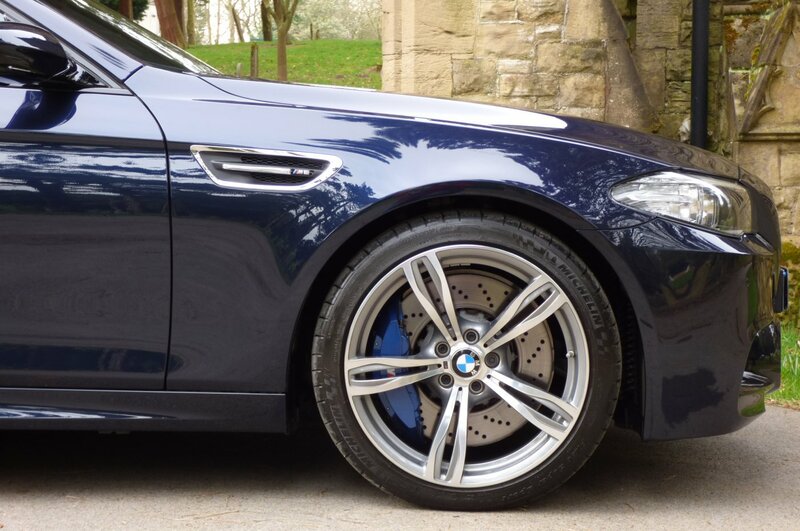 Further Exterior Enhancements From Factory Are Presented With The Unmarked Diamond Turned 20" Five Double Spoke 343m Alloy Wheels Which All Sit On Branded Tyres, The Chromed Tipped Quad Exhaust Pipes, The Gloss Black Finished Kidney Front Grille Decorated With Chrome, The M Embossed Chromed Front Wing Blades, The Blue Finished M Embossed Brake Calipers, The Colour Coded Rear Boot Lip Spoiler, The Factory Sun Protection Privacy Glass, The Blackened Front Lower Hexagon Bumper Grille And Finalised With The Powerful M Motifs. 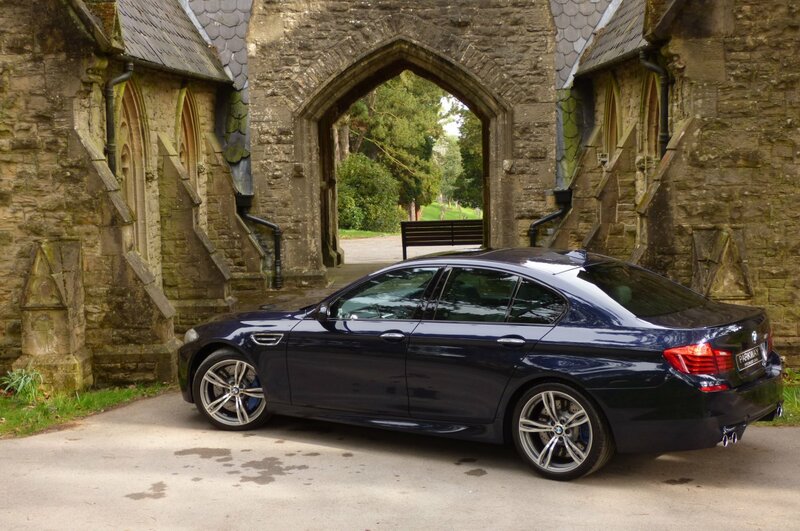 Having The Perfect Balance Of Comfort, Power And Style, This Would Be The Ultimate Transport Commute Into The City Or As An Ideal Vehicle To Carry Out That Planned European Adventure. 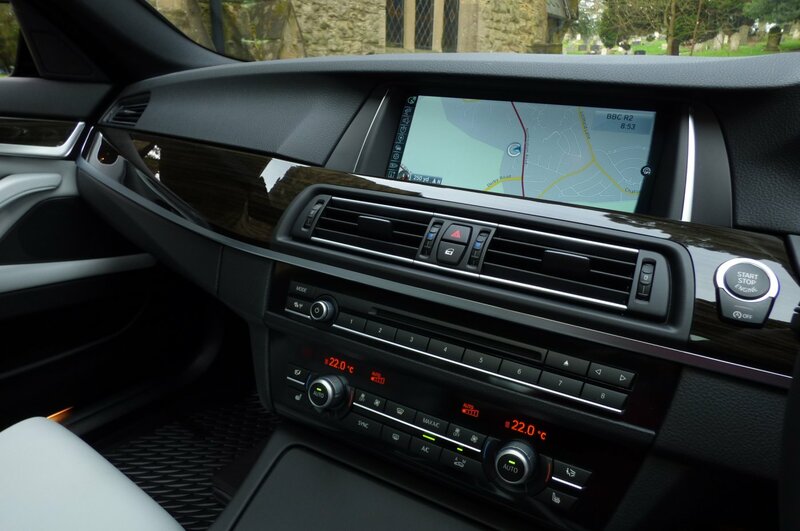 This Irreplaceable Find Comes With Excellent Factory Options To Include The Full Colour Information Screen With Professional Satellite Navigation, Four Way Climate Control, Electric Tilt And Slide Sunroof, Front And Rear Park Distance Control, Variable Heated Front & Rear Seating, DAB Digital Radio, Electric Front Seats With Driver Memory, BMW Heads Up Display, Electric Folding Mirrors, Roof Mounted Shark Fin, Xenon Headlights With Power Wash Function, Cruise Control, Electric Steering Wheel Adjust, Comfort Access With Soft Door Closure, Real Time Traffic, Convenience Phone With Expanded Smart Phone Function, Active Pedestrian Protection System, BMW Trip Computer, Rain & Light Packages, Stop/Start Function, Sun Protection Privacy Glass, Unmarked Diamond Turned 20" Five Double Spoke Alloy Wheels, Power Boot Lid, Embossed Internal Sill Kick Plates, BMW Steel Pedal Set And So Much More.  Offered With The Entire Booklet Pack Set, A Full Key Set And A Fully Cleared Hpi Report.